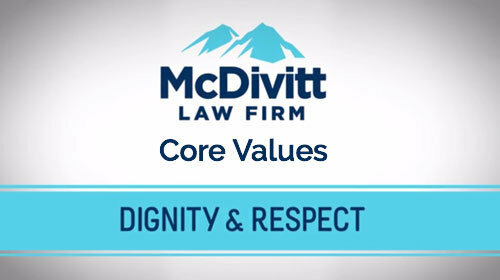 Michael McDivitt: When we represent people who are injured, we focus on their needs and their desires to get compensation when they’ve been harmed by someone else who has not been playing by the rules of the civilized society. David McDivitt: We represent people who but for firms like ours would not have some meaningful access to the civil justice system, to the courthouse. What we do is we provide access to the courthouse, the keys to the courthouse for people who need help because they’ve been injured through the fault of somebody else or they are disabled and they’re applying for disability benefits. So all we do is help people who are injured, people who are disabled, people who — who need somebody fighting for them. Need somebody in their corner. 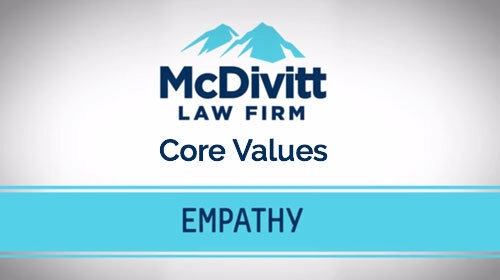 Michael McDivitt: We bring the power of size and wealth to the benefit of the individual so that we can then level the playing field against the forces that are bigger than they are. 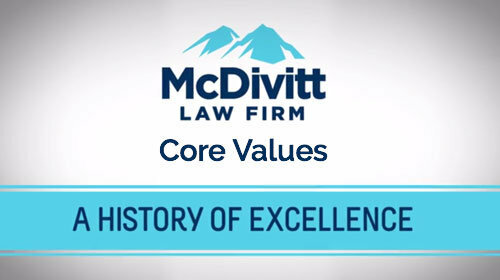 Phil Young: At McDivitt Law Firm we have an awesome team. I think one of the things that we have done from the executive level is that we’ve empowered our people to do what’s right. And by giving them, you know, what we — what’s important to us, our core values, they — they kind of have the ground work to do that. And if they live those things, then generally they do a great job. David McDivitt: It seems so natural to the team, the people, the individual components of the team at McDivitt Law Firm to fight for the little guy. 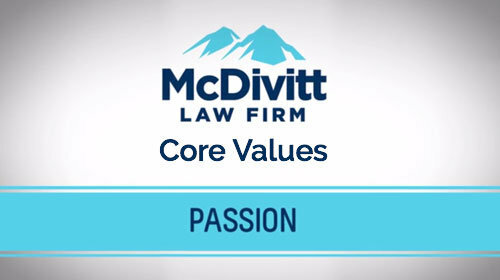 To have a passion for justice and a passion to fight every day to provide meaningful access to the civil justice system. 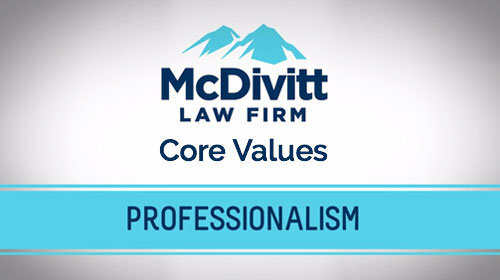 To provide legendary legal representation for our client. 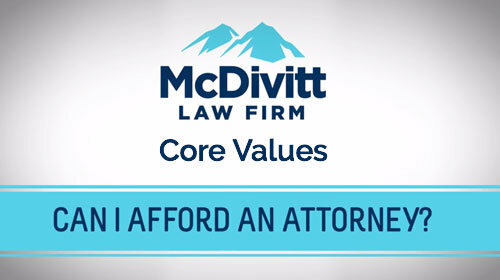 Cindy Sabbagh: Mike is very passionate about leveling the playing field. When you think about how large and how powerful insurance companies are and filing a claim, there are so many issues that come up, there are so many things, deadlines that — that clients aren’t aware of, and he was always so passionate about sitting down and explaining to the client every issue, every — you know, answering every question. He really wanted to make sure that they had an equal chance of getting a good result.